Harvest season is upon us already, and we couldn’t be more excited! With the mild winter and early spring, the grapes started ripening a little earlier than last year. Lo and behold, we did our first Pinot pick on August 16. Read on for more about what we’ve been up to. Virginie Boone wrote a nice piece in the Santa Rosa Press-Democrat about American Wine Story, the new documentary in which we’re featured. Cartograph Circle members have the chance to see the movie at its premiere in Healdsburg on Sept. 13 . We’ve been busy getting the 2013 Pinots into bottle; they’re now quietly aging awaiting their release in 2015. 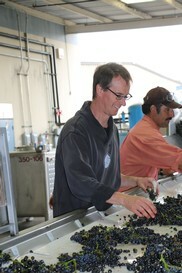 You know what that means: Our 2012 vineyard designate wines are almost ready for release! On Sept. 13, Cartograph Circle members will get the first taste of the new wines at our Cartograph Circle Film Premiere and Fall Release Party. Post-party, we’ll release the wines to the tasting room. So as we prepare to release the new wines, we wanted to remind ourselves of the 2012 season. And, in a nutshell, 2012 was a very good year. We've come to understand that there’s no such thing as "normal" when it comes to growing seasons in California. Normal seems like a ho-hum word, but when it comes to weather it can be music to grape-growers’ ears. 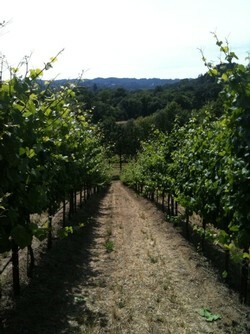 For winemakers, the 2012 growing season was a dream come true. Late-winter rains subsided just in time for the vines to start their season early in March. There was no frost pressure, and warm temperatures prevailed all summer, with few serious heat spikes to threaten the early ripening varieties in the Russian River Valley. A long, moderate Indian summer gave us ideal ripening conditions and allowed us to make pick decisions based on our goals rather than picking to avoid rain or extended heat spells. It all sounds simple, but we hadn’t had this kind of growing season for a long stretch—and the outstanding 2012 vintage is proof that when everything goes well, the wines absolutely sing. The cool 2010 and 2011 seasons played right into our winemaking style, resulting in bright and lively wines; the new 2012 wines are all that with just a little more fruit on the mid-palate. We're excited to release these new wines and hear what you think of them. We've never picked Pinot noir in August, but this year we picked two blocks of Bucher Vineyard Pinot on the 16th! Last year was an early year and our first Pinot came in on September 2. I woke on the 15th thinking I might call a pick in one block on the 18th, but after pulling some sugar samples and tasting the flavors I really wanted to get the grapes picked ASAP. I started the wheels in motion; 16 hours later, at 4 a.m., we were in the vineyard picking. We couldn’t have done it without the crew at Bacchus Vineyard Management; grower John Bucher; and the flexible team at Punchdown Cellars, our winemaking facility. You'd think that this whirlwind of activity hitting so quickly would have been stressful, but we now have enough picks under our belts that we were able to check our list of things to organize, get some sleep, and hop on the tractor to get started sorting. It was nice that the surprise start meant we didn't have time to agonize over pick dates, weather and crew availability. Plus, first picks always find the weak link in the system; that night, it was a blown fuse on the lighting boom, so we worked with headlamps (which we know by now that you must have on hand always) and it didn't even slow things down much. After watching, waiting and maybe even praying a little, we're always thrilled to get out of the truck and into the vines. Some people think we’re crazy, but we love night picks. It's a magical time to be in the vineyard, shrouded by fog, all the activity taking place in a little bubble of moving light. And it’s nice to have a single job while riding the tractor: grab anything that goes into the bin that isn't a grape, and chuck it. It's a good shift to go from worrying about the seemingly infinite matrix of possibilities to a laser-like focus on one task. And it doesn't hurt that just as we’re wrapping up, the sun starts to lighten the eastern sky to give us another beautiful sight. The first pick of the season is often a harbinger of things to come. And if this is how things are going to go this year, bring on the grapes. We’re headed back to the vineyards and we’ll keep you updated on our blog, Facebook, and Twitter (@cartographwines) about the next pick.